In pictures: Christmas Eve marks one of the brightest Christian holidays for Bulgarians. celebrate the end of Lent and the beginning of the Christmas holiday with a traditional meal. 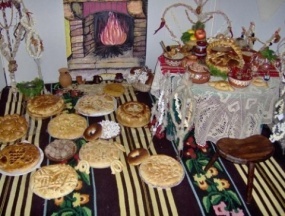 Christmas Eve marks one of the brightest Christian holidays for Bulgarians. celebrate the end of Lent and the beginning of the Christmas holiday with a traditional meal.